Bruce McArthur has now also been charged in the deaths of three more men. TORONTO — A self-employed landscaper now facing five counts of first-degree murder dismembered some of his male victims and buried their remains at the bottom of large planter boxes, Toronto police alleged Monday, calling him a serial killer. Investigators warned that more victims may yet be identified in what they called an unprecedented case in Canada's largest city. Speaking at a news conference, Det. Sgt. 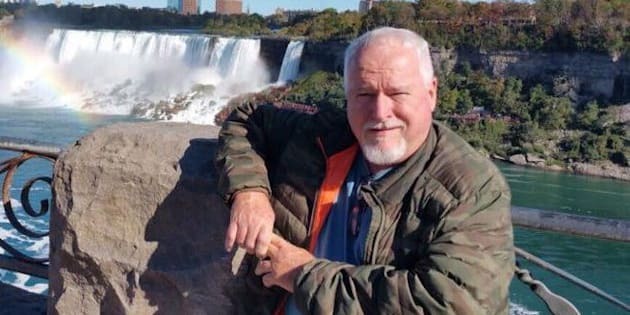 Hank Idsinga said officers had found dismembered skeletal remains belonging to at least three people in planter boxes at a home linked to Bruce McArthur, who was already charged earlier this month with killing two men who had disappeared from the city's gay village. McArthur, 66, was arrested and charged Jan. 18 in the presumed deaths of Selim Esen, 44, and 49-year-old Andrew Kinsman. He was further charged on Monday in the deaths of two missing men — Majeed Kayhan, 58, and Soroush Mahmudi, 50 — as well as Dean Lisowick, either 43 or 44, who had never been reported missing. Mahmudi and Lisowick did not fit the profile of some of the other missing men — Middle Eastern men known to frequent Toronto's gay village area. Police had initially shut down persistent rumours that a serial killer was prowling the gay village, stressing that as recently as December, they did not know whether Esen's and Kinsman's disappearances were linked or if the men were still alive. Investigators were scouring properties in the city where McArthur worked as a landscaper. They said they were planning to excavate at two locations "where people might be buried,'' but said they did not know what, if anything, they might find. "You've got everything scattered at your feet that you have to uncover and deal with,'' Idsinga said. Police have interviewed McArthur, whom they said became a person of interest last September, but refused to comment on what he might have told them. McArthur's lawyer had no comment Monday after the accused appeared briefly in court before being remanded in custody. "It's horrible to think of this happening in any neighbourhood,'' she said. Det. Sgt. Hank Idsinga talks to reporters about an arrest made in relation to Project Prism in Toronto on Jan. 18, 2018. "We may find more people never reported missing,'' Idsinga said. Esen was reported missing in April last year. He was known to frequent the city's Church and Wellesley street area. Kinsman was reported missing in June. Police had investigated Kayhan's disappearance in 2012 as part of project that turned up the names of three missing men but concluded without any evidence they had met foul play. Mahmudi was reported missing in 2015. A new investigation launched last August led to McArthur's arrest. CORRECTION: Police originally said Dean Lisowick, one of the men allegedly killed by Bruce McArthur, was 47 years old. However, police later said he was 43 or 44 years old.